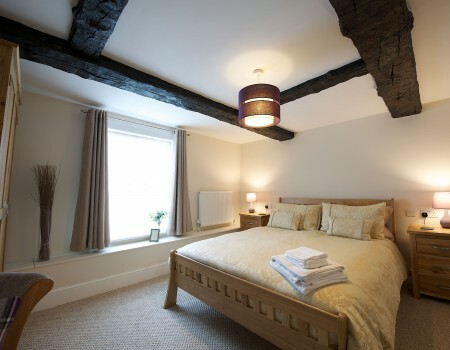 Whether you have been visiting friends and family, working in the area or spending a few days taking in the views of North Shropshire, a warm comfortable bed is the perfect way to end your day! 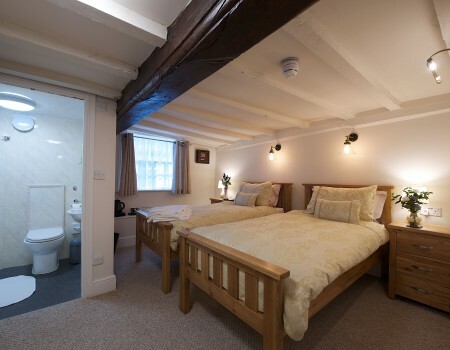 At The Wheatsheaf we have five cosy rooms, where you can kick your shoes off and wind down. Each room has a beautiful en-suite bathroom and after a great night’s sleep a home cooked breakfast will be waiting for you in the morning to get you started for the next day. 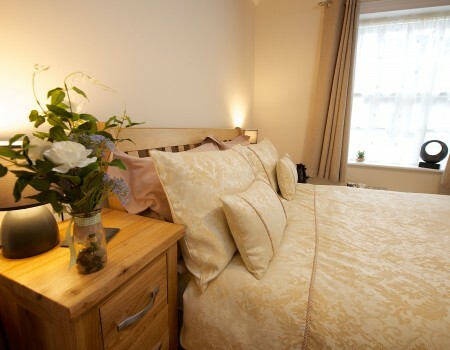 Our B&B rooms have been recently completely refurbished to a stunning high quality and are meticulously cleaned and maintained. All rooms feature solid oak furniture, power sockets, USB charging points, Samsung televisions, tea and coffee making facilities and good quality hair dryers (and there is a socket near to your dressing table, just as there should be, but so often overlooked). 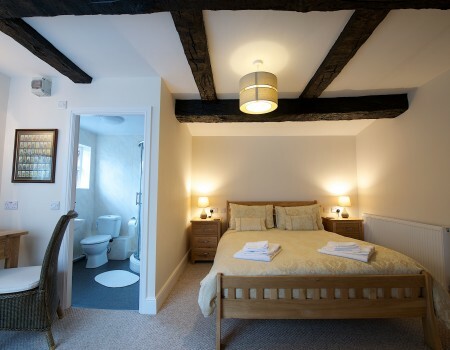 Wherever possible we have retained many original features including the beautiful ceiling and wall beams..
Our en-suite bath and shower rooms are finished to a superb standard and feature ‘proper showers’; the result of our new high-pressure hot water system that ensures a great shower in all rooms. We have invested in technology to ensure that you have the best possible Wi-Fi in all rooms. With all of our rooms we set out to achieve the ‘Wow Factor’ and we believe (and we are often told) we have succeeded! Car parking is available at the rear of The Wheatsheaf, near to our beer garden. Upon arrival one of our team will happily show you to your room. 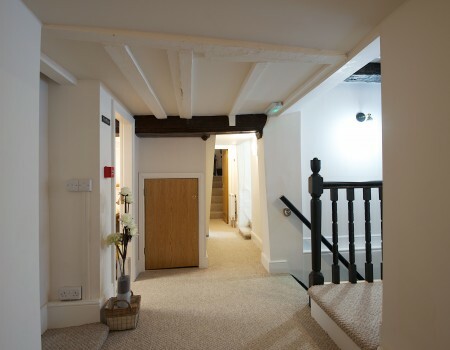 All of our rooms are accessed from our first floor Guest Landing. We regard that landing as a part of your room experience, and therefore ensure that the area is presented to the highest possible standard. Situated at the rear of our building and accessed from a short private landing, The Garden is a beautifully appointed king size room. This stunning, spacious room will overlook our new beer garden and, in the near future, will feature a private garden terrace. Holly is a spacious king size room situated on the front of our building. Beautifully appointed with solid oak furniture and a superbly comfortable bed, Holly is ideal for special occasions or longer stays when space is important. The Beam, which we think is oak, has been here for a very long time and supports the top floor of the building. The choice of name for this room was very obvious as The Beam is ‘The Feature’ of the room. The beam is very low so this room might not be suitable for ‘the taller’. Holkin is a double room with spacious shower room and is located on the front of our building. 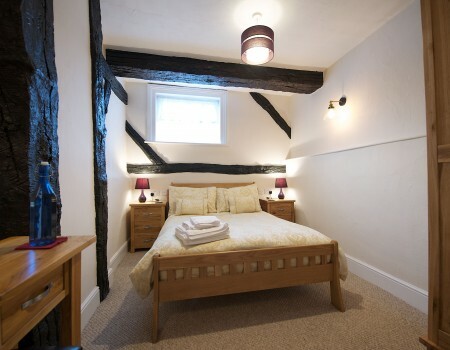 Beautifully appointed with solid oak furniture and a superbly comfortable bed, this room is ideal for shorter stays or great weekends. A room with a very obvious name, it's called The Quirky because… it is Quirky! Opening the entrance door reveals hidden steps that lead into the room via the (very low) original door space. We often get a 'WOW" as guests go through the second door.